In 1961 Lee Iacocca had a vision to create a sports car which would seat 4 people, weigh less than 2500 lbs and be no longer than 180 inches. This vision would become reality and would become one of the hottest selling cars on the market. 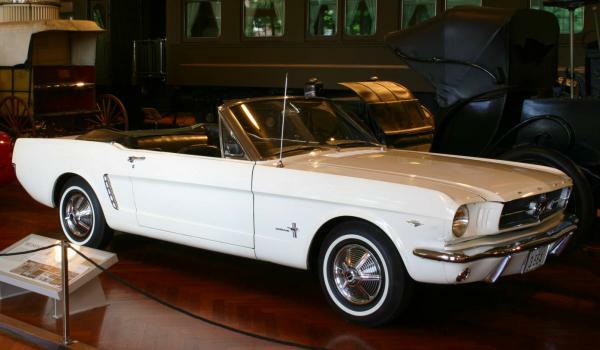 On March 9, 1964 the first Ford Mustang rolled off the assembly line and was introduced to the world on April 17, 1964 at the New York World’s Fair. The Mustang sold over 22,000 units and a revolution had begun. The truth is that there is no 1964 1/2 Mustang, but that term was coined by Mustang enthusiast. This model was produced for 6 months before refinements were made, the ones produced within the next 6 months are considered to be 1965. But technically they are all 1965 Mustangs, I will still call it a 1964 1/2. Besides knowing the date it was manufactured, how can you tell if it is a 1964 1/2? It has to be factory-equipped with a generator charging system, a 170ci six (U-code), a 260 2V (F-code), or a 289 4V (D-code) low-compression, large horns mounted down on the frame behind the radiator, a brake light pressure switch on the master cylinder, a center “off” heater fan switch, and a generator charge light, just to name the basics. These are features exclusive to Mustangs built between early March and July 31, 1964. There was never a fastback made in those early production units, so if you find a ’65 fastback it is not a ’64 1/2. The pony interior was added in the ’65 production group featuring special seat covers with running horses across the back, exclusive interior door panels with integral armrests and pistol-grip door handles, a five-gauge instrument panel, wood-grain steering wheel, and appliques on the instrument cluster, glove-box, and center console (if equipped). 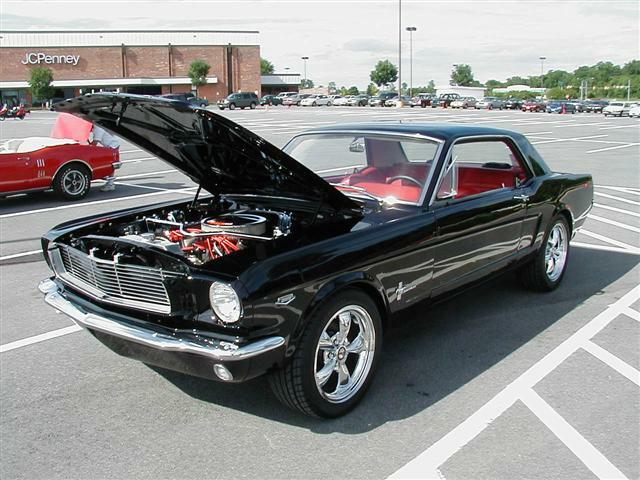 This entry was posted in Cars, Muscle Cars and tagged 1964 1/2 mustang, 1965 Mustang, affordable, all star automotive, car, car buying, car dealer, car lot, car options, car sales, cars, choosing a car, Ford, hot selling cars, muscle cars, mustang, pony cars, purchasing a car, revolution, salesperson, sticker price by All Star. Bookmark the permalink.